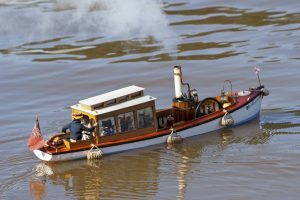 Alexandra, Edwardian Steam Launch. Built by the late Peter Oram and powered by a Cheddar Pin-Tail steam engine; modified by Ken Dyer and once owned by Peter Taylor . The “Alexandra” is a model of an Edwardian period (start of 20th Century) steam launch available as a kit from the German firm Krick. 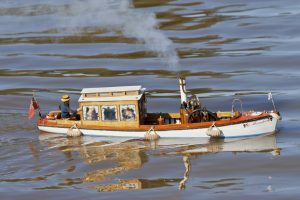 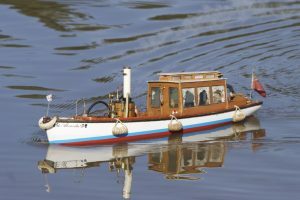 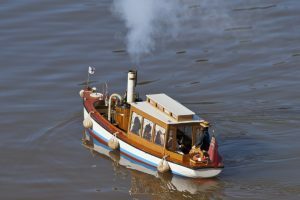 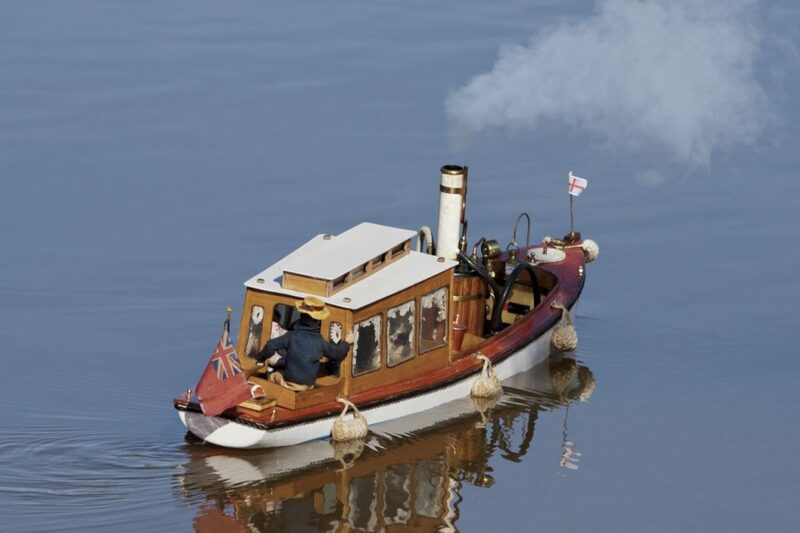 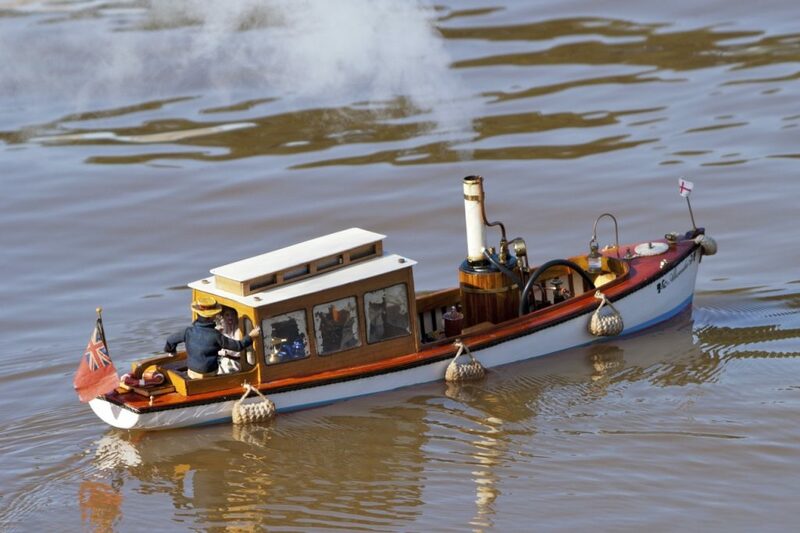 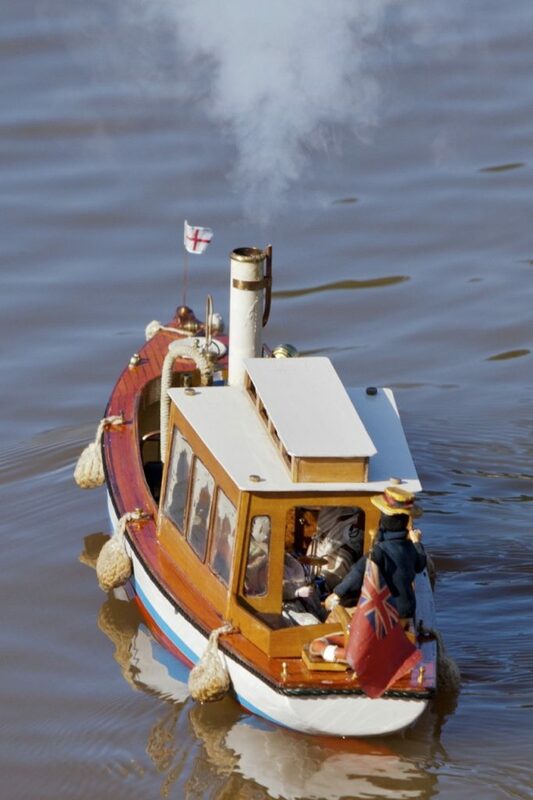 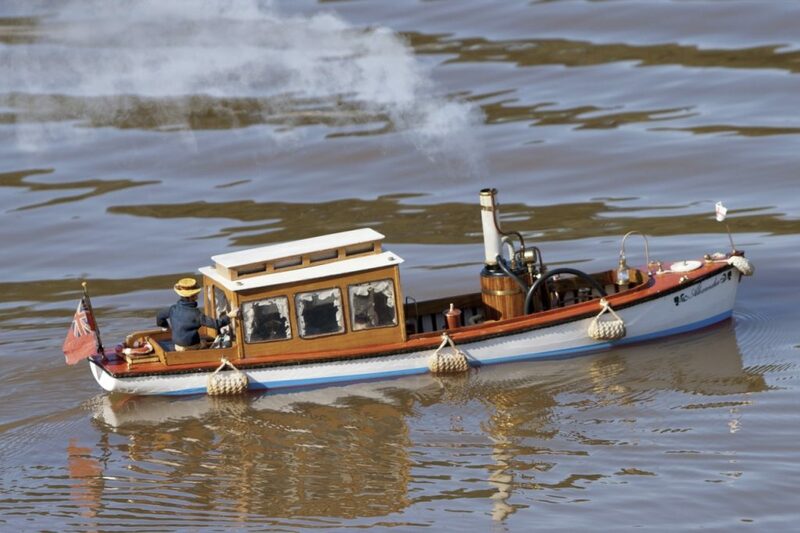 This model was built by the late club member Peter Oram during the period September 2004 to February 2005 and fitted with a Cheddar Pintail twin cylinder steam engine which had previously been fitted in an open “River Boat” now owned by Andrew and Lorna Soffe. 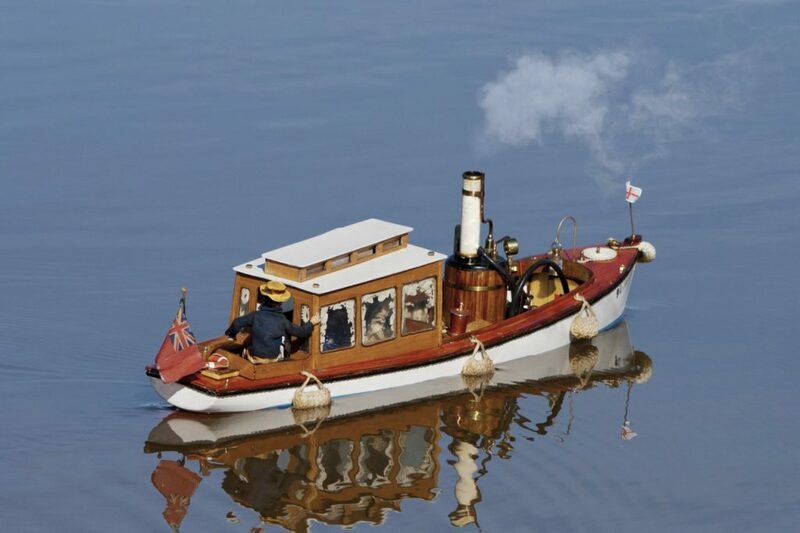 An automatic gas valve controls the feed to a ceramic burner and there is a condenser on the steam exhaust. 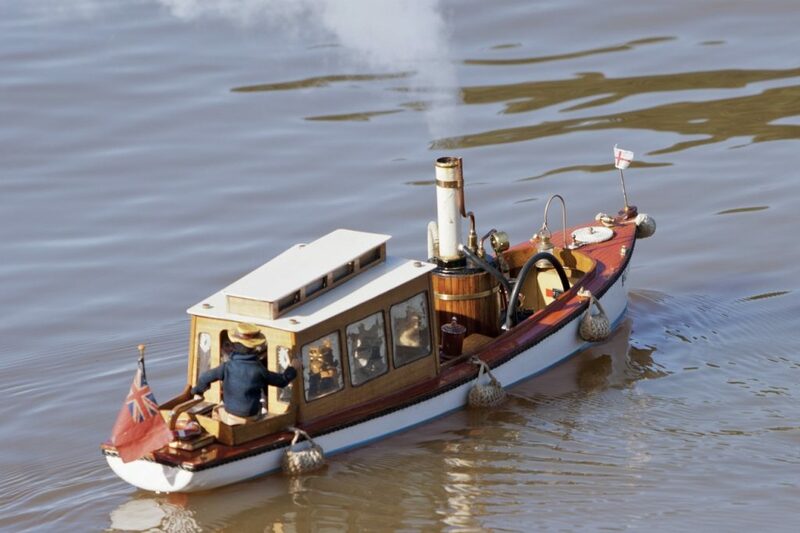 The original launches (of which many still exist) were designed for use on canals or rivers. 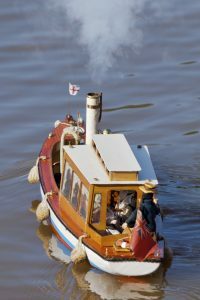 The cabin roof has a central “clerestory” to provide extra head room whilst allowing the launch to pass under bridge arches or through tunnels. Modifications by Ken Dyer included fitting a small electric auxiliary motor to provide a means of returning to shore when the steam runs out. 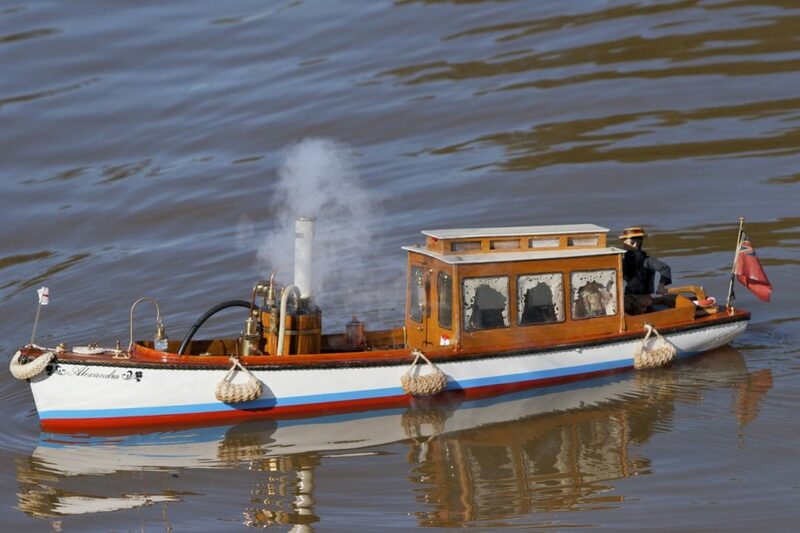 Peter Taylor did not have the patience to work with a steam model and Alexandra is now owned by John Andrews.